The Little Birdie Pop Up Market is a community affair showcasing local, hand-crafted brands which you won’t find at a mall. Today from 10am to 8pm at Al Zeina, Al Raha Beach. Couples can celebrate a unique Valentine’s Day this year with the Elevator Dining Experience at Jumeirah Emirates Towers, with dinner provided by Alta Badia. Elevate the romance with a five-course meal served with the Dubai skyline as the backdrop. Stopping at different levels for each platter, the five-course meal starts with the chicken liver mascarpone terrine, followed by pan seared prawns. For the main course, elevator diners can enjoy roasted codfish followed by a Mango Creme Brulee for dessert. It is priced at Dh4,000. Those looking to impress can also book a Rolls-Royce chauffeur, a one-night stay in the towers, as well as a spa treatment for two equating to a total of Dh5,500. The trio of Saad Haroon, Danish Ali (pictured) and Salman Qureshi are back together in Dubai to make your Valentine’s Eve funnier than ever before. 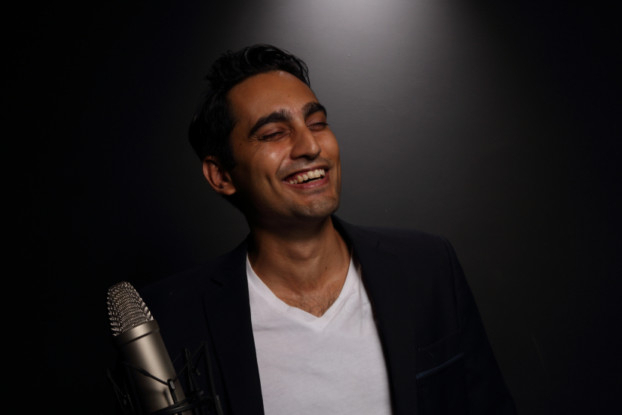 Catch this improv and stand-up comedy show tonight at The Junction in Alserkal Avenue. Tickets priced at Dh150. At 8pm. Kizmet at the Dubai Opera is calling on all oyster lovers to check out its new oyster hour promotion that runs every Wednesday from 8pm-9pm, where you can get freshly shucked oysters for Dh5 each. Minimum order of Dh30. After its two-week annual maintenance shutdown, the Legoland Water Park has opened its doors yet again, inviting visitors to experience it’s 20 water slides and attractions. 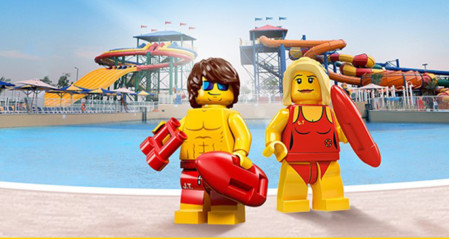 Take on the Joker Soaker, build your very own Lego raft or go on a splash safari. From 10am to 6pm. Tickets start at Dh175. Looking for that last-minute Valentine’s Day dinner booking? Take your date to The Secret Room at the Address Boulevard. The five-course dinner at the chef’s table allows you to even choose your own playlist for the evening. From 6pm at Dh3,000 minimum spend per couple, including beverages. 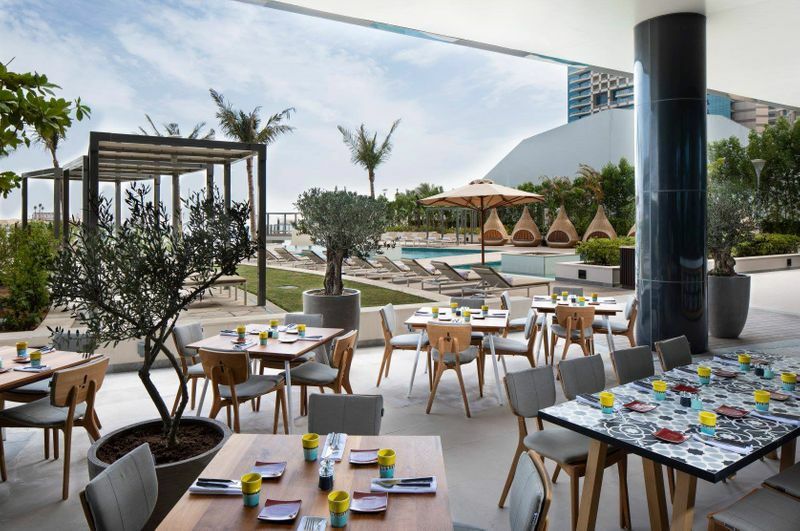 A Dubai staple, Bice Ristorante at Hilton Dubai Jumeirah is offering a four-course set menu priced at Dh225 per person, which includes a glass of bubbly. Go old-school at Old Castello, Jumeirah with a night of games. From 8.30pm you can enjoy three rounds of Bingo with over Dh2,000 worth of gifts to be won. Each ticket priced at Dh20 and six winners for every game. Here’s a fresh stand-up night where you can catch new and seasoned comedians take the mic to workout their material. The free event is being held tonight at Public Cafe, Cluster T, Jumeriah Lake Towers at 7.30pm. Age Limit: 13 years and over. Best to RSVP. Wednesdays are jazz nights at Souk Madinat Jumeirah. The Amphitheatre will be dedicated as a space for enjoying smooth vocals featuring talent from the region that will perform classic hits and personal covers. First set at 6pm and the second at 8pm. Admission is free. The Courtyard Playhouse is staging a performance to celebrate the season of romance with improvisers entertaining with scenes based on audience suggestions. For three nights, starting today. At 8pm. Free to attend; rsvp a must. 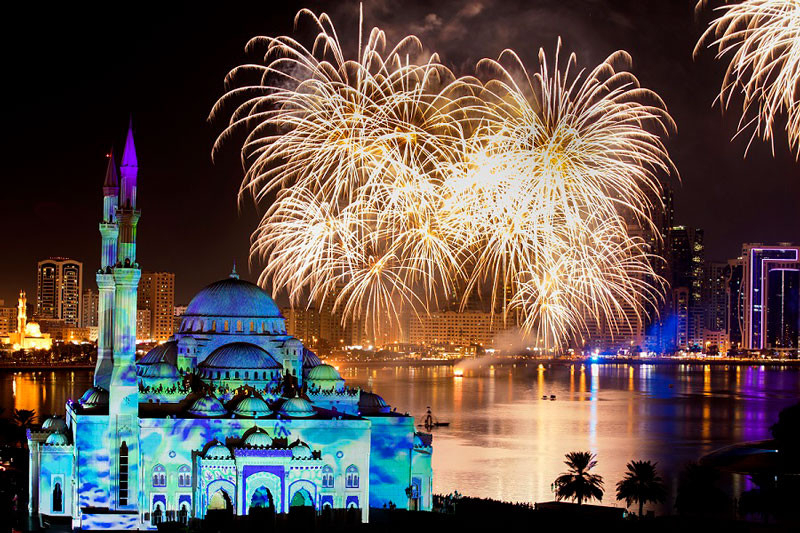 The ninth edition of the Sharjah Light Festival is underway, themed ‘Culture and Family’. The festival runs until February 16. The light shows will be spread over 17 locations in Sharjah. Daily from 6pm. Full details online. It’s time to be happy again as Al Marjan Island, RAK celebrates its Happiness Festival. Kicking off today, TruckersUAE rolls in with its food trucks, while entertainment comes with live music and DJs from 5pm until 10pm. The three-day fest will feature a Kids Village with bouncy castles, an arts and crafts zone, a graffiti area and African drummers. Fireworks tomorrow and a bikers parade on Friday at 5pm with 15,000 balloons being released.